Factory intercoolers are not designed to handle the higher levels of boost that come with modifying your turbocharged Ram. 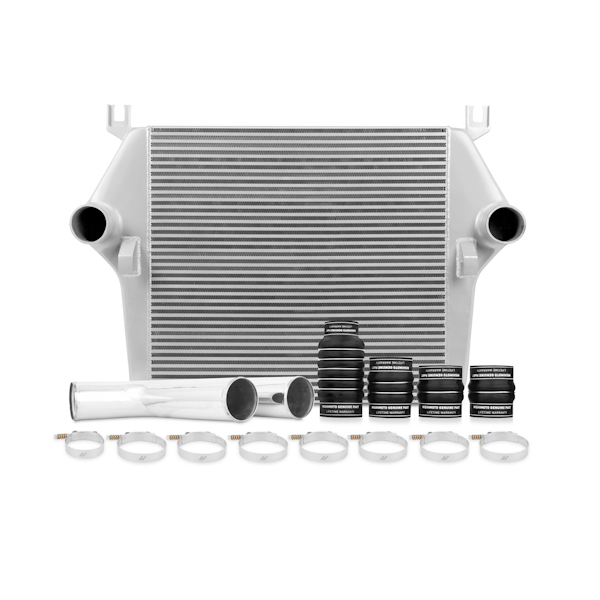 The Mishimoto intercooler and intercooler kits are designed as an ideal upgrade for the 2007-2009 Ram 6.7L Cummins intercooler. Mishimoto intercoolers and piping kits reduce intake temperatures and increases overall cooling efficiency, resulting in a safe increase in horsepower. Unlike most other aftermarket intercoolers and intercooler kits available, modifications to the front bumper and removal of the crash bar are not necessary, since Mishimoto Intercoolers retain the OEM fitment of these parts. This product carries a Full Manufacturer's Warranty! Contact Us | Fast Response Guaranteed! Copyright © SlickCar.com All Rights Reserved.